The Mater Misericordiae University Hospital is a Model 4 teaching hospital based in Dublin's north inner city. The hospital was opened in 1861 by the Sisters of Mercy. 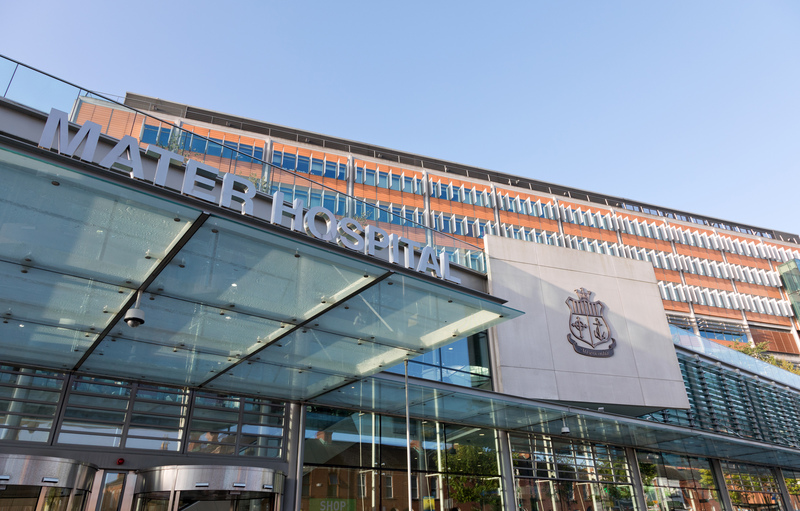 In addition to the local services for our catchment area, the Mater Hospital provides a range of frontline and specialist services on a regional and national level. Our ambition is to be the safest hospital in Ireland, delivering the highest quality care, with the most patient-centred, efficient processes. Education, training and research have always been at the core of the Mater Hospital. We are committed to providing excellence in healthcare for all of our patients and in order to achieve this we recognise that we must support our current and future staff to learn, grow and innovate.Our strong academic partnerships allow us to deliver undergraduate and postgraduate education to hundreds of healthcare professionals including nurses, doctors, clinical therapists, radiographers and many more. We also work closely with academic institutions to deliver cutting edge research that has a direct impact on patient care. Visitors are welcome daily from 2pm to 4pm and from 6.30pm to 8pm. If you wish to visit outside these hours, you will need permission from the nurse in charge. Visiting policy is slightly different in the Emergency Department and in the special care, high dependency and intensive care units. Please visit https://www.mater.ie/visitors/visiting-times/ for more details.